over time, as i learn more about myself i realise that the reasons i have hung onto things historically are no longer true for the person i have become. because i have so much and i am grateful for all of it. so… today, i would like to give a couple of things away. 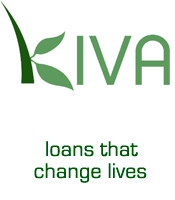 we are blessed to have been kiva loaners for a while now and it brings us immense joy to see others flourish because of our small contributions. today, i would like to giveaway a gift certificate worth $25 so someone else can change a life. if you would like to be considered for these gifts, please think about all that you are thankful for in your life and leave a comment here listing five things you are grateful for today. please feel free to share this with anyone you think would also like to be entered into the giveaway. i will do the gratitude draw at the end of the week and email the winners. Hope Nic spoit you to bits!!! Happy Birthday Leonie. Hope you have had or are having a really fantastic birthday with those that mean the most. Hope you had the best day and a better one to follow… savour every minute for me. H A P P Y B I R T H D A Y D A R L I N G !!!! Thank you for this beautiful idea. I am so fond of KIVA too, lovely work. filled with cake and bubbles and dandelion wishes. Happy birthday, dearest name sister Leonie, fellow lioness heart! I am so blessed to know you and witness your beauty!